With so many self proclaimed "experts" on the internet now a days it is hard to tell what information about pond building, pond maintenance, plants, KOI, etc. is accurate. Within this page we have provided some resources to help you filter through all the fog the and interact with other pond hobbyists and professionals. Our Certified Aquascape Contractors friends have heard all the different philosophies all across the globe. By interacting with other professionals and hobbyists we hope that you will find the answers you seek. While some may disagree with our pond filtration and natural ecosystem approach to building ponds, we have thousands of "proof of concept" examples across the country and right here in the Alpharett (GA) area where our customers are enjoying a low maintenance Water Garden lifestyle the way Mother Nature intended it to be. 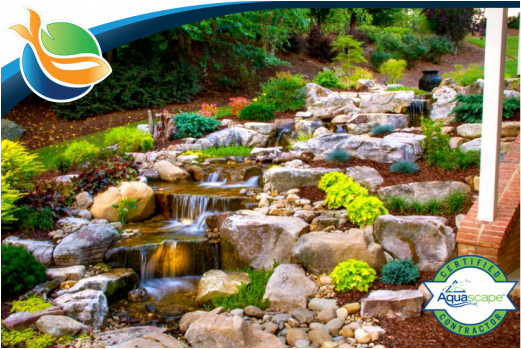 We encourage you to explore the informational pages within www.Pond-Contractor.Services site, to help try and find answers you are searching for. If there are any questions you have that you need answered contact Paradise Ponds and Waterfalls.